Android Distribution Updated for September 2017: Nougat Soars Past 15%! Oreo still has yet to make its debut in the Android Distribution numbers, but meanwhile, Nougat continues to grow! According to the latest numbers, Nougat now sits at 15.8%! That’s up from last month’s 13.5%. Oh, happy days! 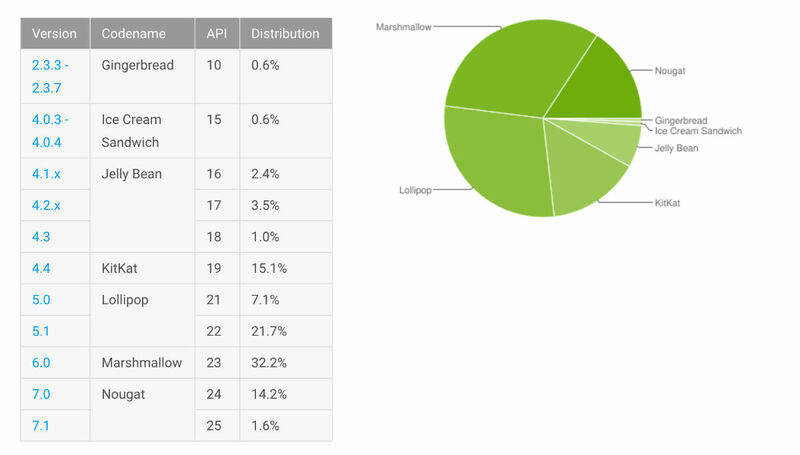 As for the other Android versions, Marshmallow is now at 32.2% (down from 32.3%), Lollipop is 28.8% (down from 29.2%), KitKat is 15.1% (down from 16%), Jelly Bean is 6.9% (down from 7.6%), and Gingerbread is at 0.6% (down from 0.7%). Expect Oreo to make its debut next month with the Oreo update hitting Nexus and Pixel devices recently. 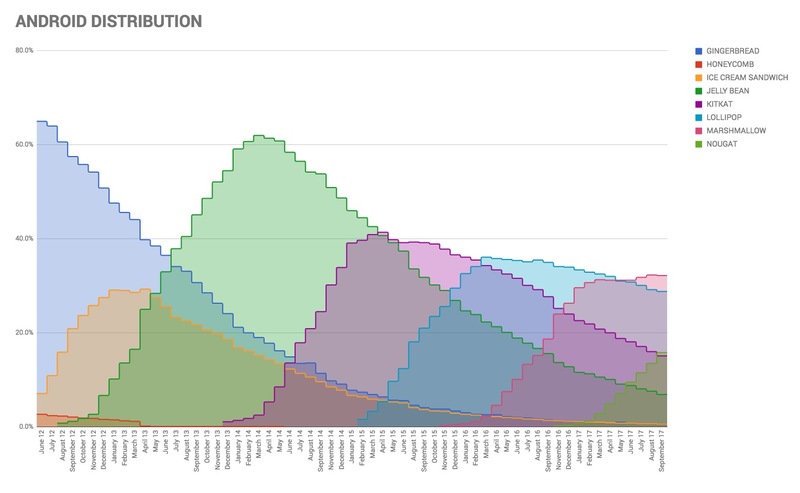 Here’s our fancy graph that tracks Android distribution over a 5 year period. Last month’s numbers are right here.